Precision Service & Pumps Inc offers a comprehensive line of equipment and services to fit the most demanding applications. Our products and services range from entry level to the most state-of-the-art technology in the industry. All of the turbine pumps we have sold and installed are specifically engineered to meet the demands of industrial, irrigation, municipal, and other custom pumping needs. 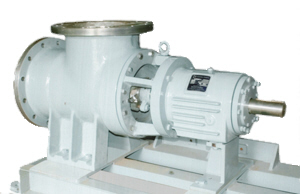 Every pump is designed to operate within the customer's specified performance range. Some of the turbine pump manufactures produce equipment in ranges from 4" to over 24" in diameter with flows over 14,000 GPM. Capacities: Q from 3 l/s to 900 l/s 50 gpm to 14,000 gpm H from 10 m to 1,000 m 30 ft. to 3,300 ft.
Capacities:Q from 3 l/s to 900 l/s 50 gpm to 14,000 gpm H from 10 m to 2,000 m 30 ft. to 6,600 ft.